A wonderfully scenic ride that follows the shores of Lake Hume almost all the way. 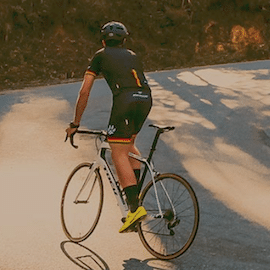 • From Tallangatta, ride East towards Corryong following the Murray Valley Highway (15km), turn left into Granya Road and get ready for a climb. Continue through Granya township to Murray River Road. • Turn left into Murray River Road (C542) and continue to Bellbridge township. Ride across the Bethanga Bridge and follow the road to the intersection with the Riverina Highway. At the intersection turn left and then take the next right. Follow this road back into Victoria across the Murray River and continue following this road to Bonegilla. Turn left at Bonegilla onto the Murray Valley Highway (B400) and ride back to Tallangatta.